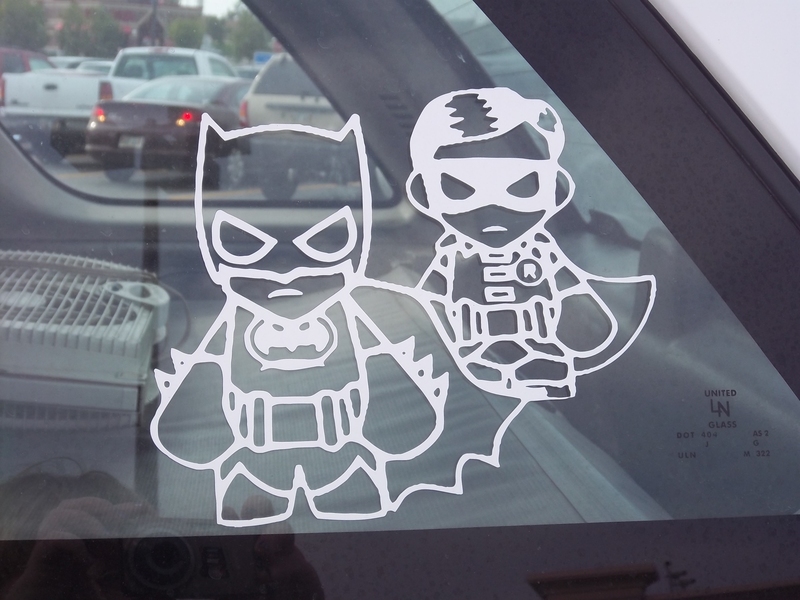 For all the ‘batty’ people out there…..
Batman and Robin. Better than all the ‘family’ decals on every other vehicle you see. So, if you are Batman fan, a Robin fan, or a Nightwing fan, this ought to work for you on some level.